How would you design with Natural Stone? 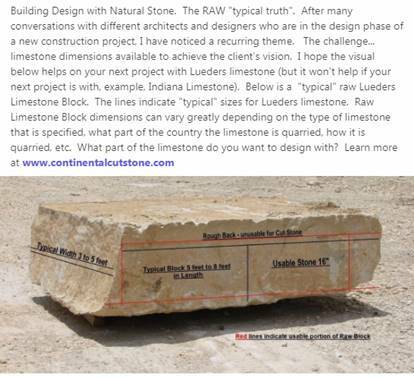 Starting with the raw Natural Limestone Block a design can take many turns. Below is an example only of 1 type of limestone, Lueders. This limestone originates near the town with its namesake, Lueders, Texas. 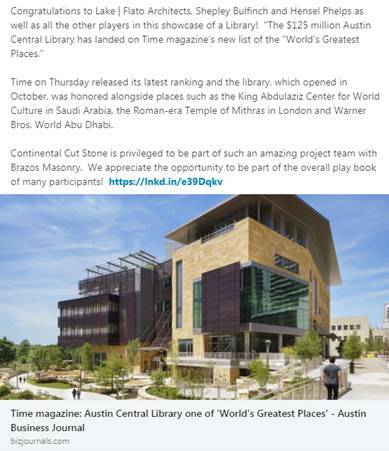 Below are a couple of our Linkedin, posts describing the dimensional challenges as well as a shining example of how the Roughback of the raw block made it into Time magazine’s “World’s Greatest Places” announced August 23, 2016.